Taken out of context, Charles Hogan’s job might sound a little creepy. He will spend the winter driving slowly around residential streets in Philadelphia until midnight or 1 a.m., taking images of homes from a brightly colored Ford Escape. “As I’m driving down the road, I just see a lot of people doing double takes, staring at the vehicle,” Hogan said from behind the wheel on a recent evening. 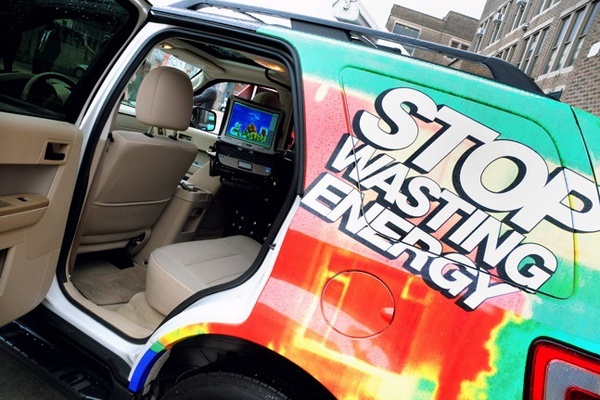 Hogan works for the Mark Group, a U.K.-based insulation company that launched the mobile thermal imaging vehicle in Philadelphia last week. On a narrow residential street near Passyunk Square, the camera attached to the roof of his car snapped a shot of each house he passed. 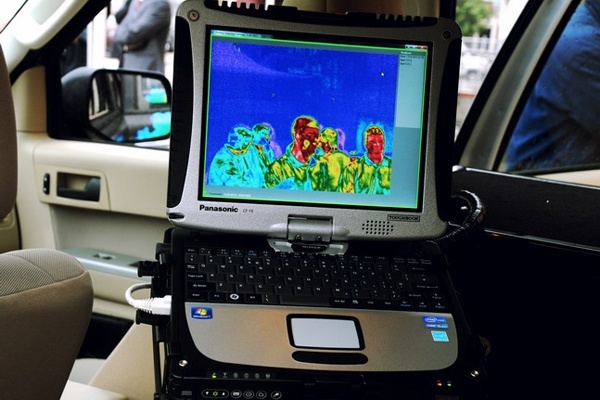 Fellow thermographer Brian Appelbaum used a laptop in the back seat to navigate and monitor the images, meant to illustrate where houses are leaking heat. They look like photo negatives lit up in Technicolor. The company’s sales team will bring along the images while knocking on doors and pitching attic and wall insulation. The vehicles were rolled out three years ago in the United Kingdom, where the company said 2.6 million images have translated into 50,000 new customers. 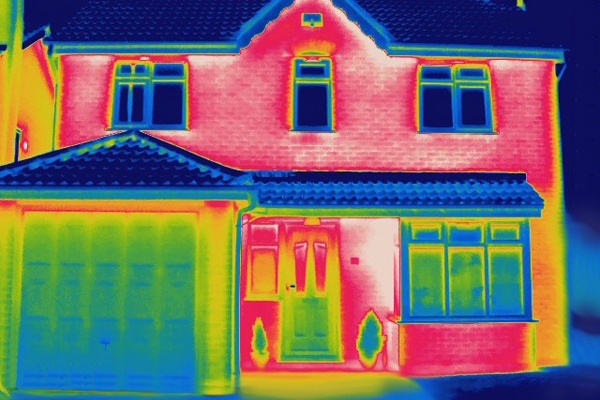 Dawn Morley, from the company’s U.K. office, said some homeowners there initially had concerns about privacy, but she stressed the cameras can only pick up on heat outside a home. 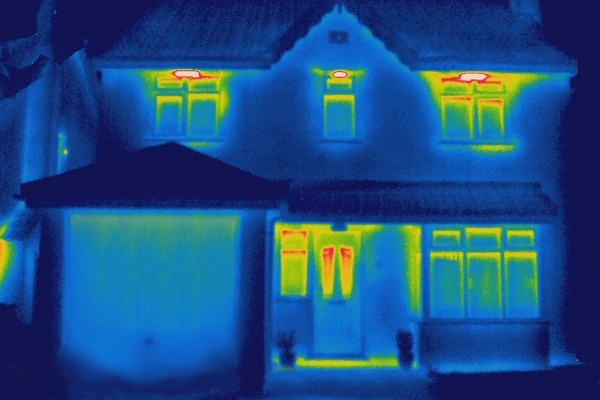 The team goes out at night, when temperatures drop and homeowners have turned their heat on for the evening. The company plans to take images in neighborhoods in Philadelphia and surrounding counties where it has previously done insulation work, then spread out to the tri-state area.